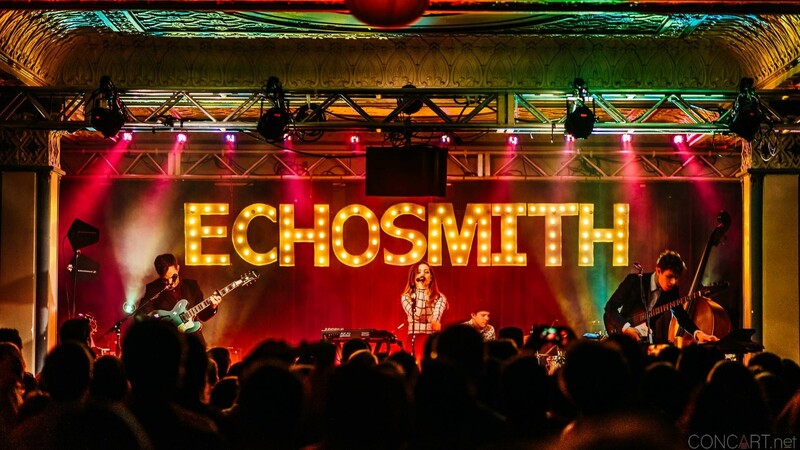 On May 6, I had the privilege of attending Echosmith’s show at Emo’s in Austin. I had never been to this venue, but I live on Riverside and had always seen it on the way home. I was curious as to what it looked like inside. Emo’s is a small venue, which makes for an intimate concert. The concert opened with Jena Rose, an up-and-coming singer from Plano, Texas. Her set was very entertaining, featuring several stick flips and such from her drummer. She sang several songs from her debut album Reasons. Following Jena Rose was The Score, a band from Los Angeles. Their sound was much more rock than Jena’s. 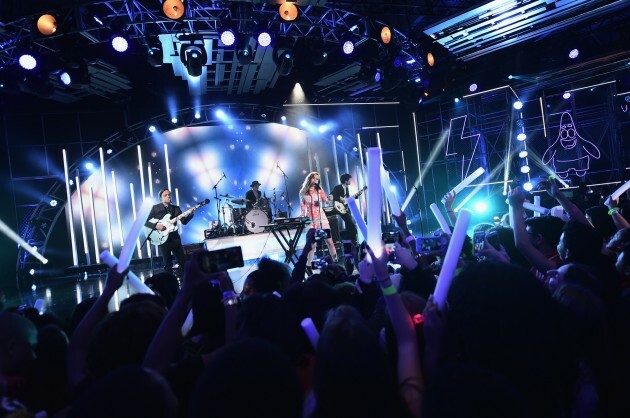 Their performance was very energizing, and got everyone excited to see Echosmith. The band consists of two members, but they added several others for the purpose of touring. The main members are Eddie Anthony and Edan Dover. Both sing vocals, and play various instruments. After the two openers went on, it was time for Echosmith to begin. Their set was full of color and of the light synthesizer sound that they are known for. The band consists of siblings Sydney, Noah, and Graham. They also have an additional keyboard player and guitarist for their tour. They played all of their most popular songs and many from their newest EP, Inside a Dream. Echosmith is like a mixture between their two openers, so they chose the bands to accompany them well. The band used several props throughout the show, and even handed out flowers to members of the audience. My favorite moment was when the lead singer, Sydney, began to play the drums, while Noah sang a song. I liked that the members of the band clearly had a diversity of what instruments they could play, and played the other instruments well. The show was very intimate and I was able to get a spot very close to the front of the stage, as did most people. The show was overall very fun and entertaining, and I’m glad I got the opportunity to attend.